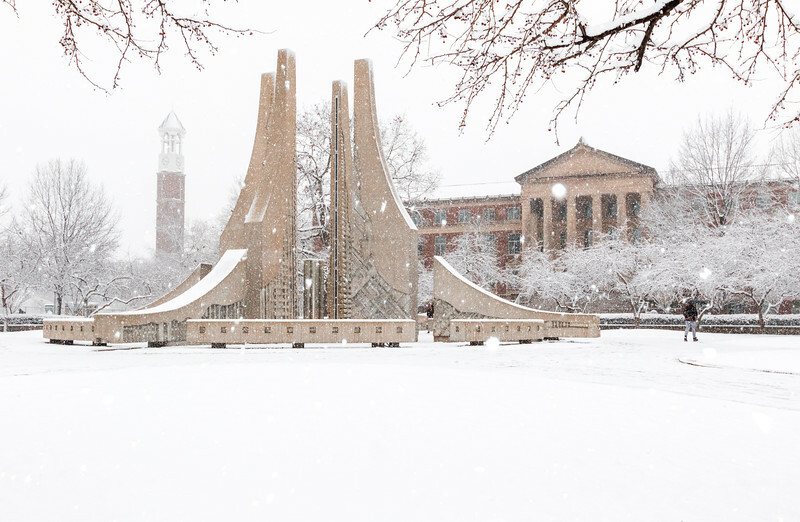 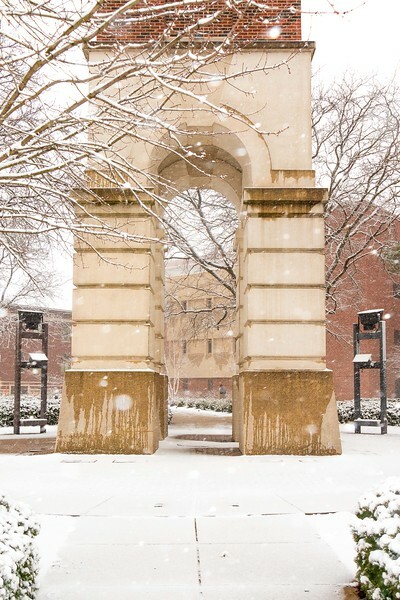 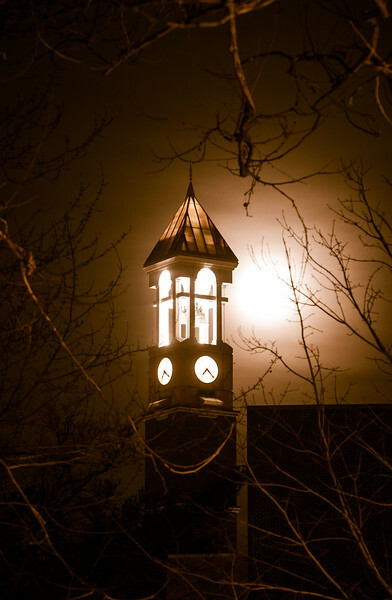 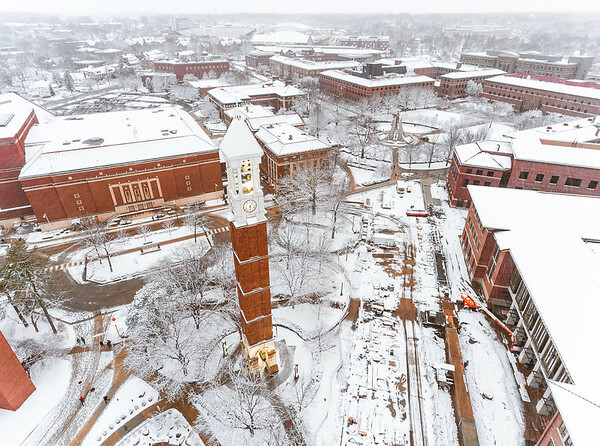 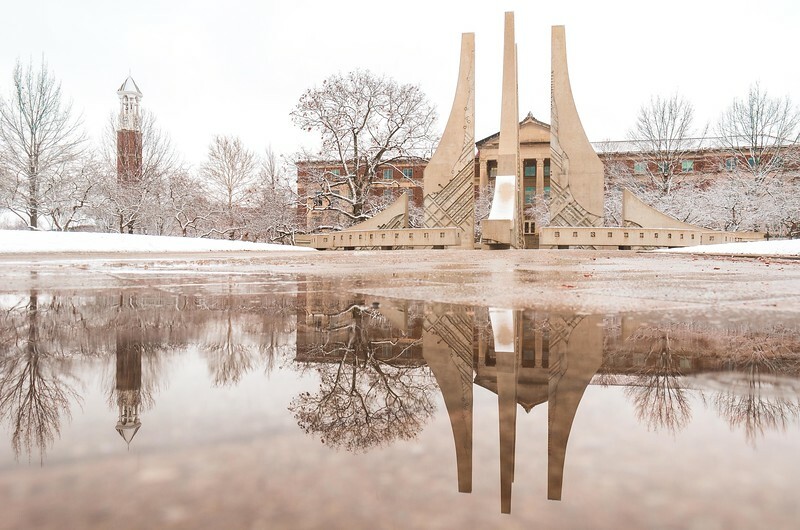 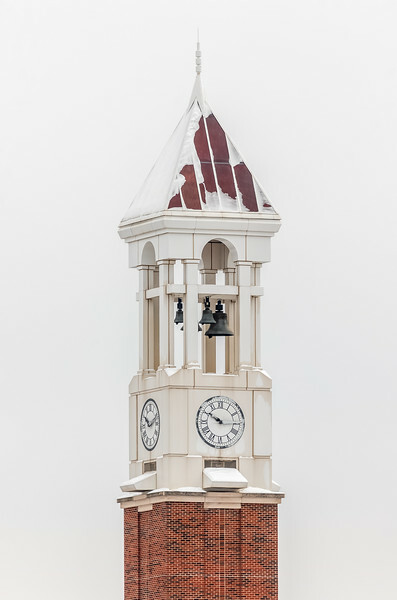 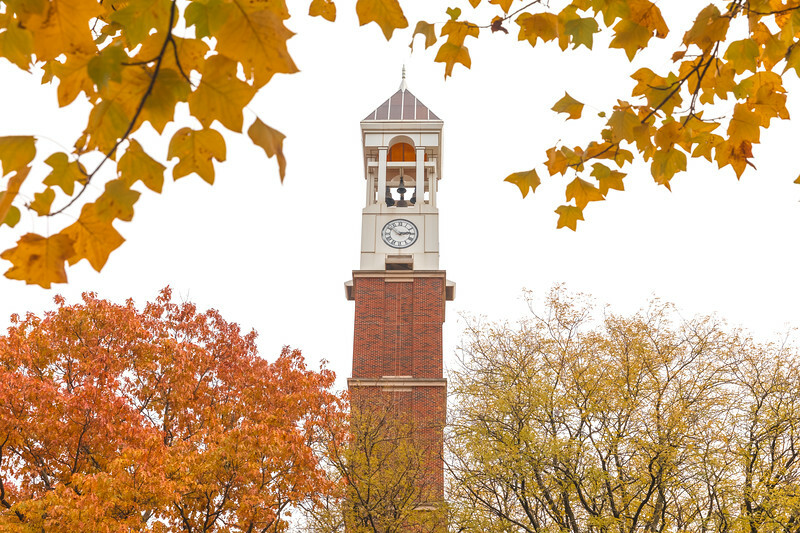 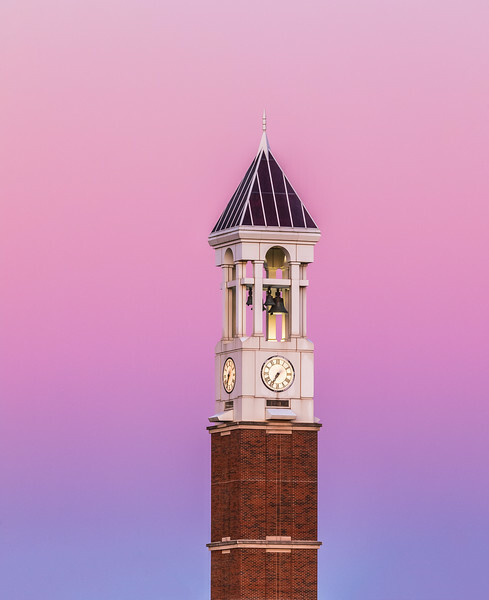 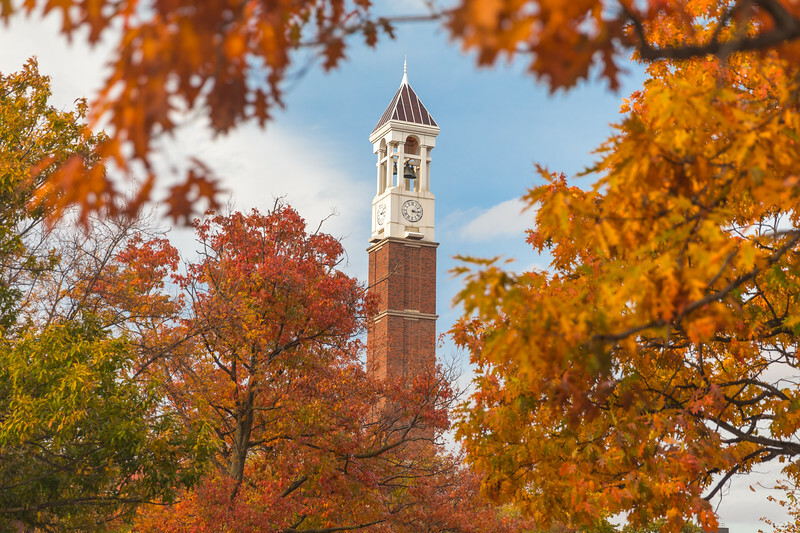 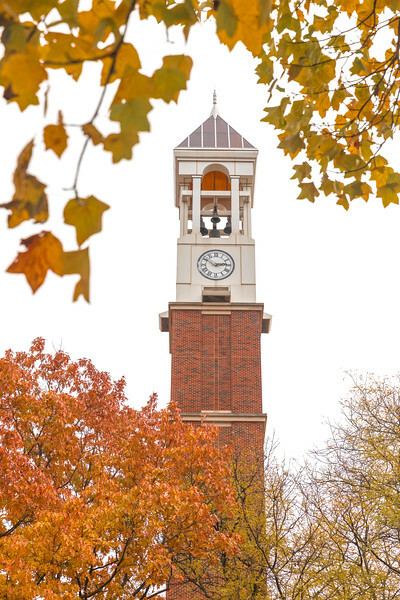 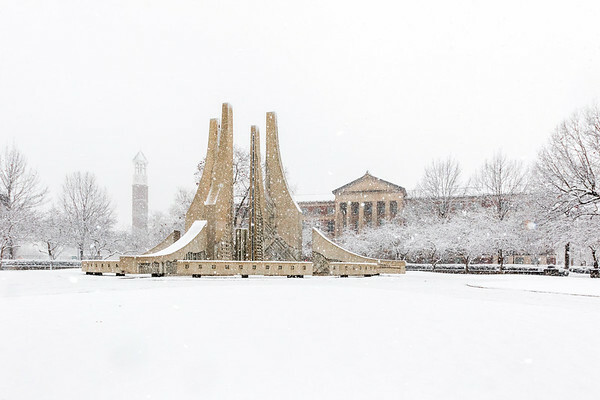 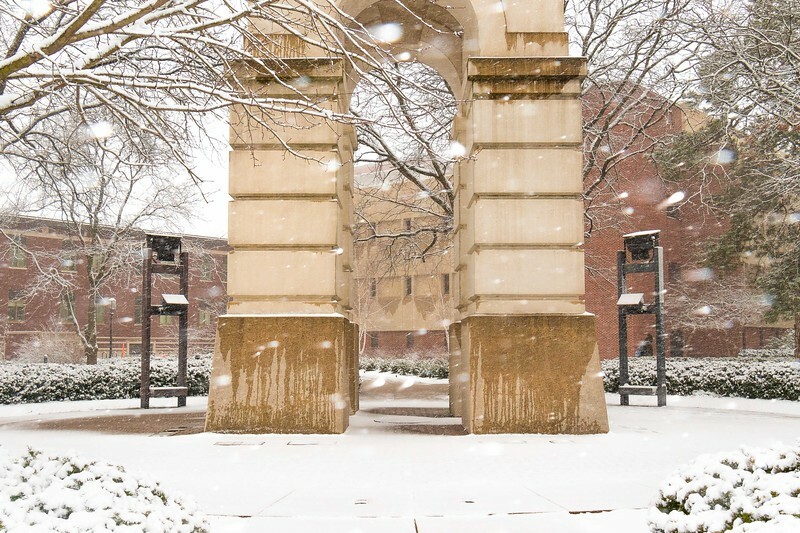 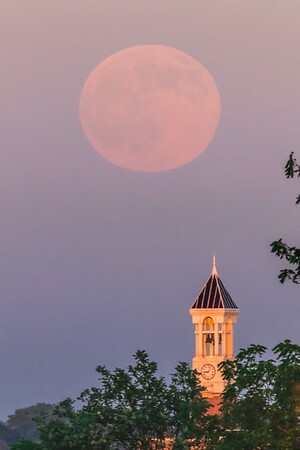 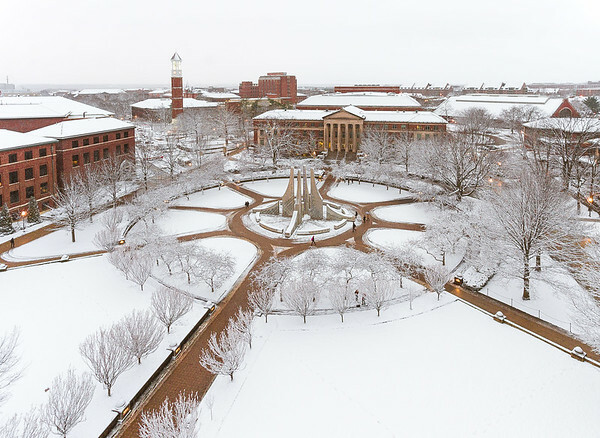 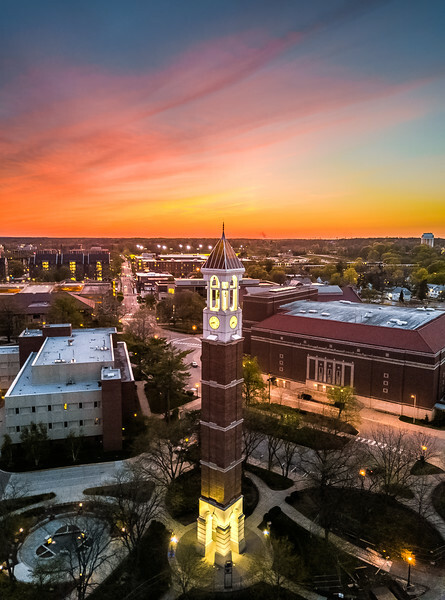 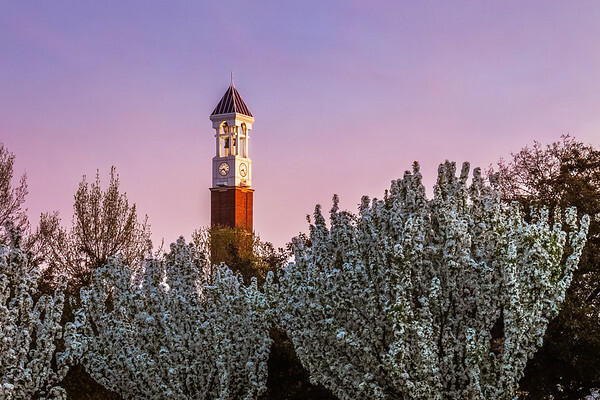 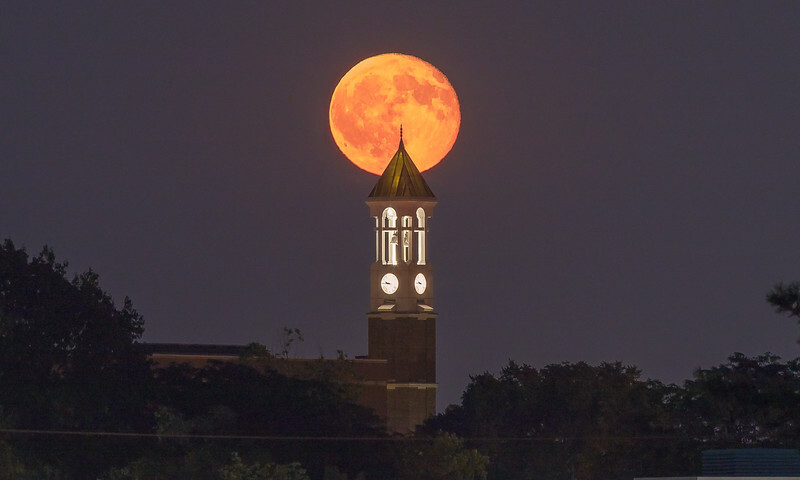 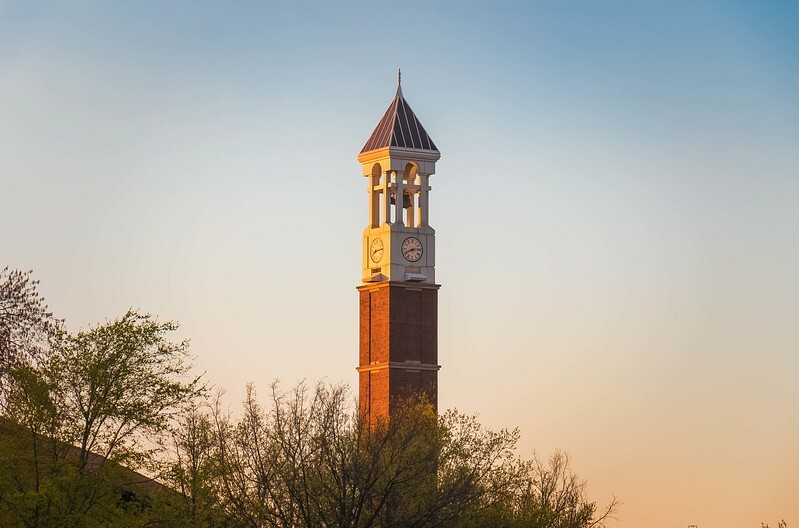 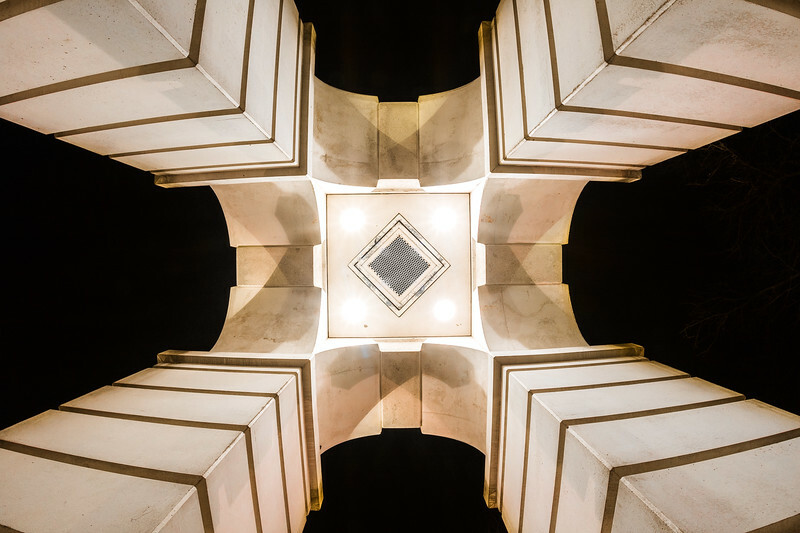 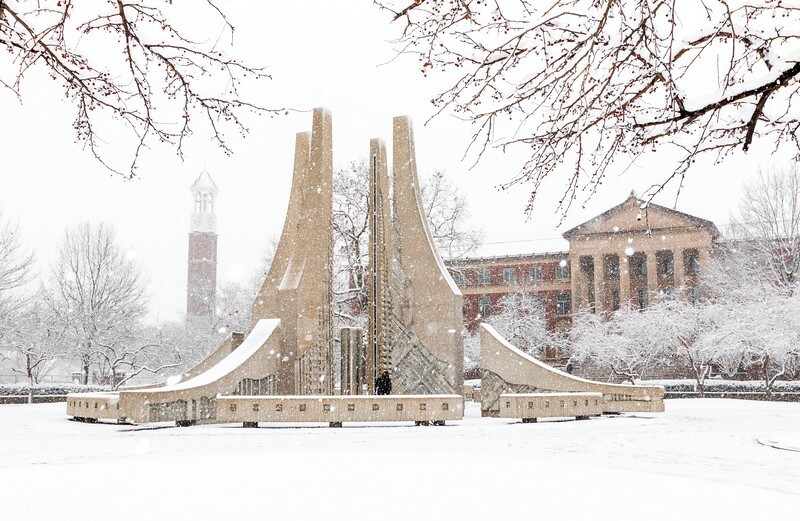 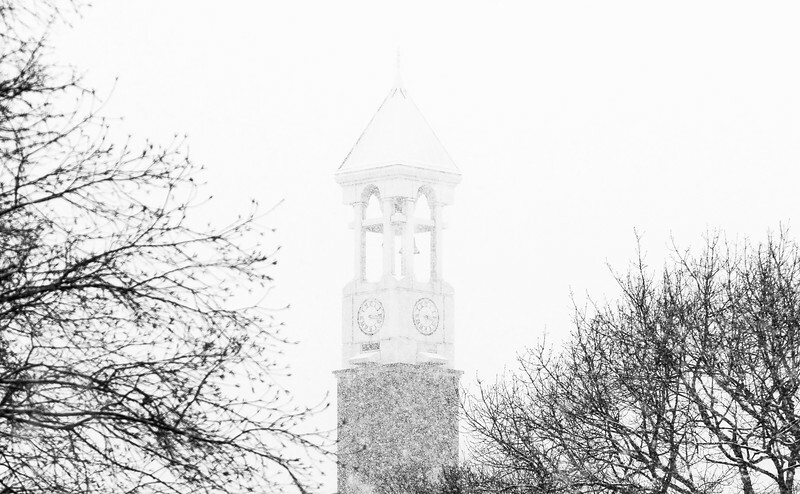 My favorite photos I've taken of the Purdue Bell Tower. 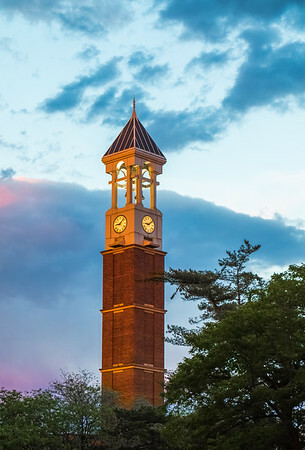 Last bit of sun shines on the Bell Tower before sunset. 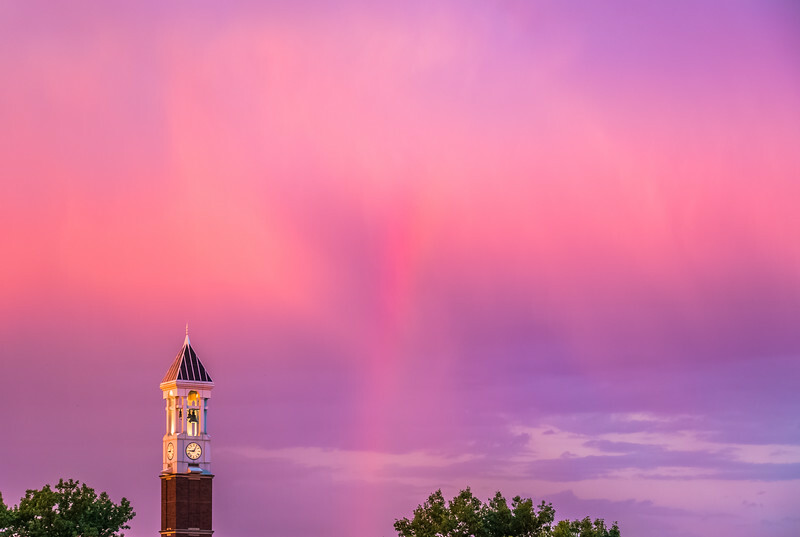 Rainbow flanking the Purdue University Bell Tower at sunset.